Huawei is a popular brand which supplies modems and routers for many Internet Service Providers(ISP). It is currently the largest company which produce telecoms equipment. The configuration of the Huawei modem varies with different ISPs but we can check whether it is configured properly and connected to the Internet. In case if you cannot access the Internet from a computer which is connected to it, the first step is to ensure if the modem is connected to the Internet. It is not hard to check if you have the login details. To check if it is connected to the Internet, follow the instructions below. 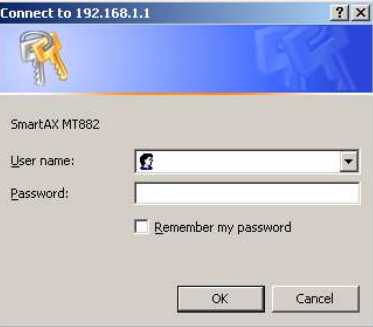 Type 192.168.1.1 and type username and password as admin(if you have set different username and password, use that). If you cannot log in to the setup page using the above login IP address, you may want to find the correct login IP address. Many users forget the fact that they changed the default login details in past and try to access the setup page with default login information. To find the correct login IP address of your Huawei router, click the link below. On the system information page check the IP address of the connection you have made. 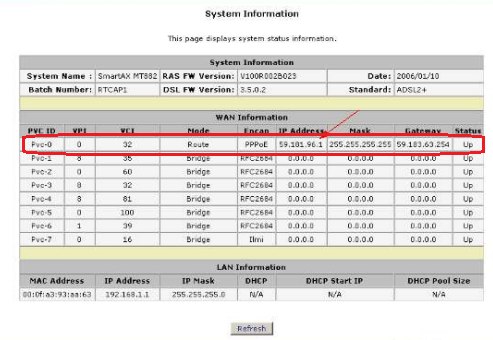 If you can see a public IP address from your ISP here, Huawei modem is configured correctly and connected to the Internet. If it is connected to ISP and having a valid IP address, then you can ensure the configuration you have made on it is correct. In case if it is not getting an IP address from your ISP, you need to reset the device and reconfigure it. We have some tutorials to configure certain Huawei models. I believe these model specific guides will help you better than giving a standard tutorial. Even if you have configured the modem correctly and getting an IP address from ISP, your computer may face slower connection than expected. There are many reasons for it and you can fix some of them. In this case, if the Huawei modem is getting a slower connection than your ISP promised, I recommend you to follow the instructions provided in the link below.